Hard to believe the summer concert series is almost over for the 2015 season, but what a way to end the season…get two great musical talents together for a dynamite show! 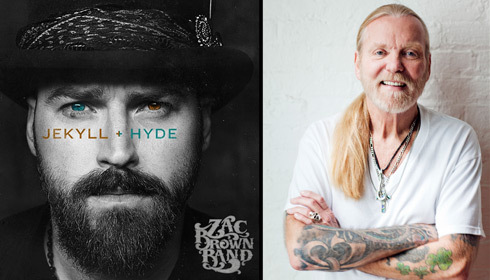 Zac Brown and the Zac Brown Band along with Greg Allman will be here to close out the year. This isn’t the first time these two southern (Zac hales from Georgia, while Greg is a native Tenneseean) musicians have joined forces….the two played “Georgia On My Mind” at the 2011 CMA’s, Allman joined the Zac Brown Band onstage in 2012 to perform “Midnight Rider” and “One Way Out“. The Zac Brown Band’s newest album, JEKYL + HYDE, hit #1 on the Billboard 200, earning them their third #1 spot on the chart. The three time Grammy winners and platinum selling artists are unstoppable at this point and together with Gregg Allman have a winning formula for a tour. Book now at 1825 Inn Bed and Breakfast right next to Hershey PA…where the summer is hot, the reception is warm and the rooms are cool.